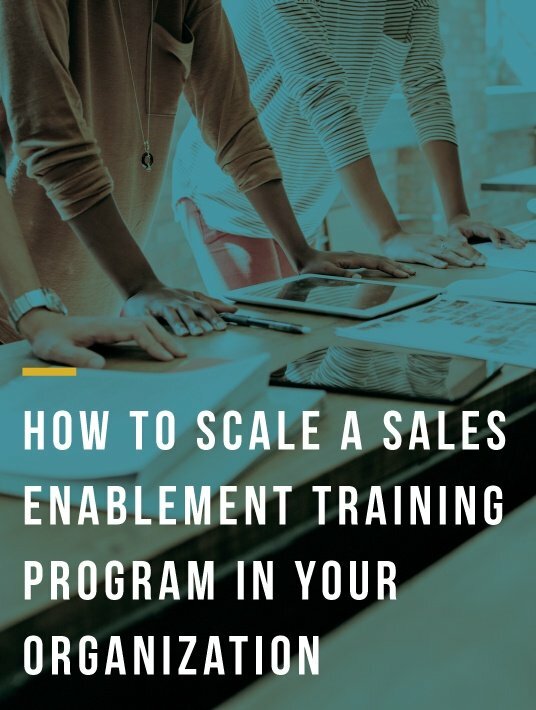 This short ebook offers three key ingredients for creating a scalable sales enablement program in your organization. Align the content presented to sales people to the buyer's journey. Eighty-two percent of B2B decision-makers think sales reps are unprepared, training that prepares sales people with the latest insights and a clear knowledge of the sales process sets the bar a little higher than your competition. When looking for ways your company can reach customer-related goals, like expansion and relationship building, big part of the solutions pass through your sales team. Its’ members preparedness must be high and this needs to show. Focus on content, training, and technology, and trust AllenComm. A sure way to discover and acquire those must-haves that’ll get you sales enablement.